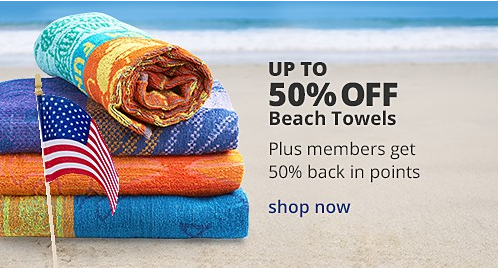 Sears has a couple of great offers available that will replenish your beach towel supply for super-cheap (or free). 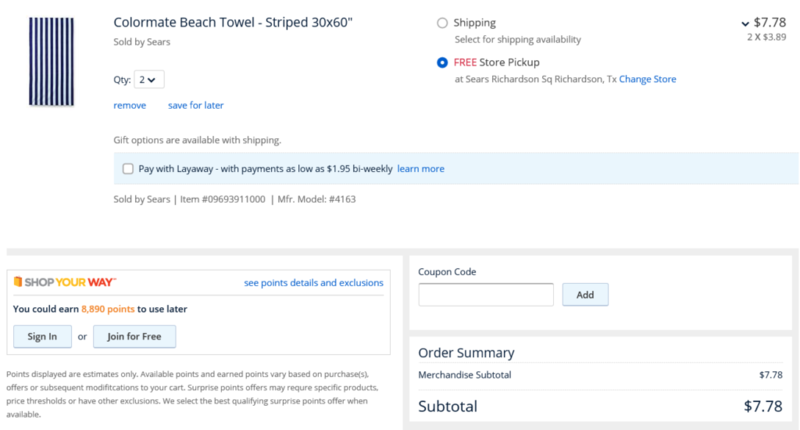 It gets even sweeter because they have their large 30X60 towels marked down to $3.89 from $11.99. That means you can buy two beach towels for a grand total of $7.78, and you will get back $3.89 from the first offer and $5 from the second offer! That’s two towels for better than free! Choose free store pick-up to avoid shipping costs or get free shipping on orders over $35.